I drove to the Rio Grande Valley this weekend to spend a couple of days with my Dad. On my way there, my wanderlust kicked in and beckoned me off the beaten path. So, I slowed down and turned on to some backroads near the rural community of Encino. Located along Highway 281, Encino is regarded as a “census designated place” and not a town because it does not have a municipal government. Today, the backroads near Encino are accented by evidence of the passage of time — reminders that this is still hard country to tame. 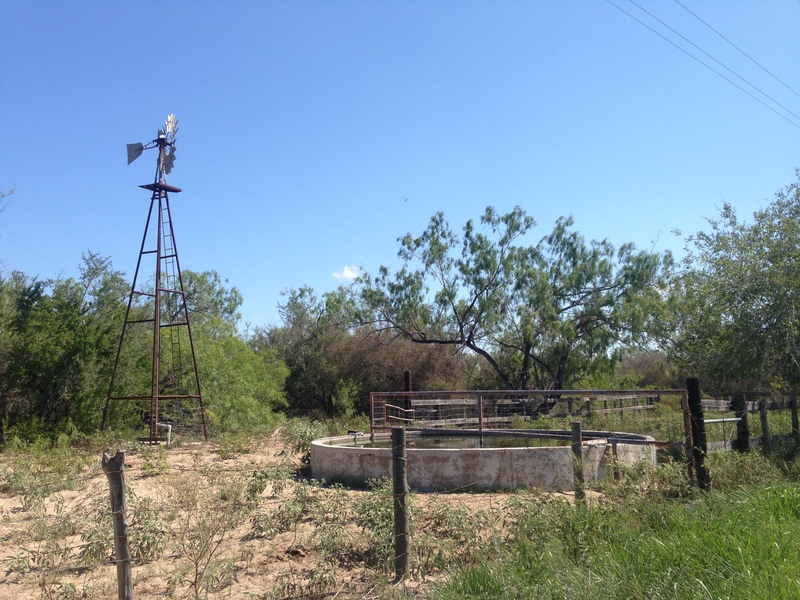 The proof is there in the form of windmills, old shelters that look like they are melting into the brush, and assorted rusting remnants left behind by a previous generation. 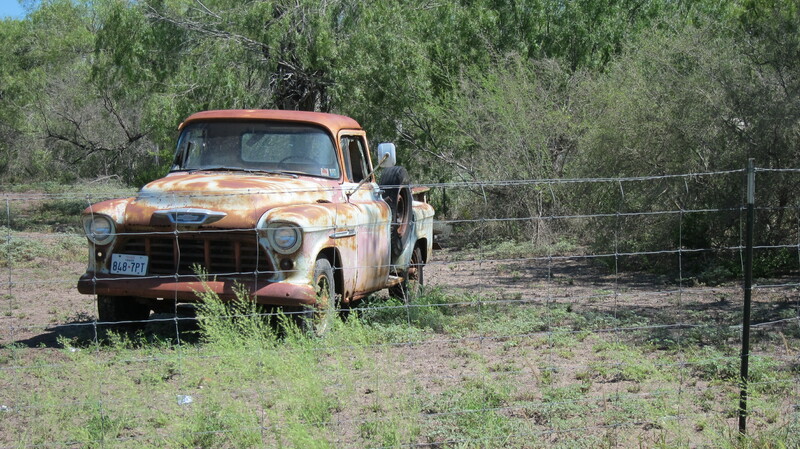 These old time-tarnished sights are starkly juxtaposed with newer homes and vehicles and farming and ranching implements. Life in Encino today has more conveniences but the environment is still challenging. When I finally arrived at my Dad’s home, I was glad that my brother Phillip was also there. The last time Phil and I were home at the same time was at Mom’s funeral in 2009. As soon as I arrived, Phil and I embraced and wasted no time in getting some things done for Dad around the house — cleaning gutters, fixing a plumbing problem, servicing the AC, trimming trees, and mowing the lawn. The hours flew by quickly as we tackled the items on our list. Time does indeed fly. About the only things that do not seem to age or wear down or wear out are my childhood memories. I am fortunate that all of the memories that greet me when I come home are pleasant. There is not a single bully in the bunch. And although so many other things have aged and changed, my memories remain unaffected by the passage of time. 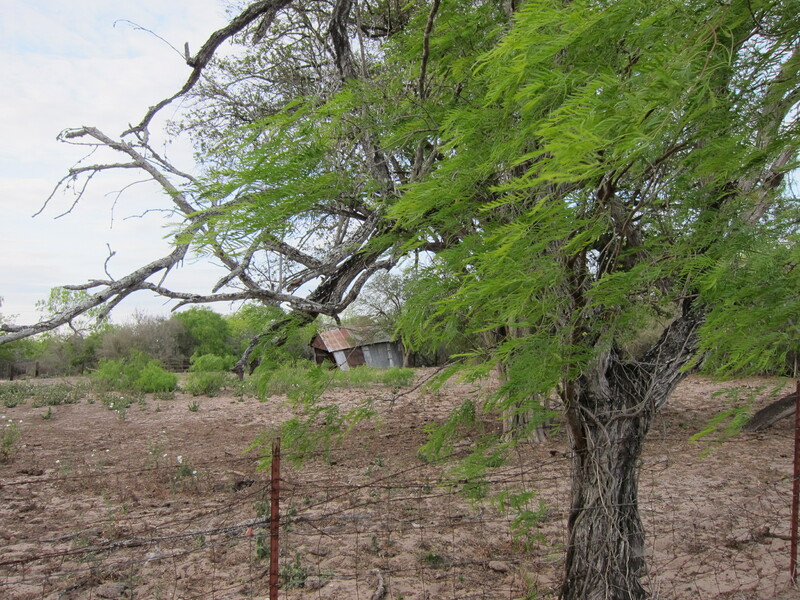 Today, Dad and I drove from McAllen to the neighboring town of Mission where I was born. We stopped by the cemetery to visit Mom’s grave and then drove to the street where my grandparents had their first home. I had an old photo with me that recently surfaced of my grandfather with my sister and me on the sidewalk in front of their home. 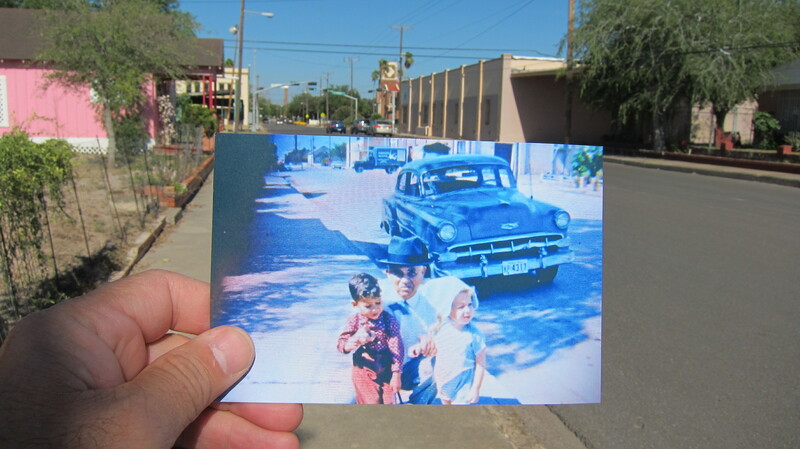 I held it up at the very spot where it was taken in 1959 and took a picture of it, juxtaposing the old with the new. While the passage of time has changed the neighborhood, it has not diminished the memory of happy times there with my grandparents. In addition to any material things that we leave to our kids, we should also make it a point to make sure that we leave a legacy of good memories — the kind that remind them of their value, of what your family values, and of bringing glory to God. One day, those who come after us will likely wander off the beaten path and onto the proverbial memory lane. When they do, may they celebrate what they find, be refreshed by the sights, and then continue their journey with a determination to make the kind of memories that will bless those who come after them. Thanks for your kind words. I will be out of the country in October and already have two other Wednesday commitments that month. I think I only have the last Wednesday that is open. Call my office this week and I can confirm. Thanks for your readership.